When cellulite begins rearing its ugly head on various parts of your body, it's only natural to want to get rid of it as quickly and efficiently as possible. Since it is so common, there are many products on the market for dealing with cellulite. While this means that consumers have a lot of options, it also means that finding the right one can be very confusing. TriLASTIN System 2 is a product that claims to eliminate cellulite in an all natural, noninvasive way. Truth is, as a topical treatment with questionable ingredients, TriLASTIN System 2 leaves a lot to be desired, and people who use it are likely to be distinctly disappointed with the results. Among the many products on the market today for getting rid of cellulite, TriLASTIN System 2 is not effective and will not provide any truly remarkable or noticeable results. 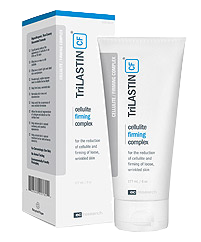 TriLASTIN System 2 is a two part system that claims to go after the root causes of cellulite. The first part of the TriLASTIN System 2 system is called TriLASTIN HT, which is said to heat up and stimulate the outer layers of the skin to prepare it for the actual cellulite treatment. Once this is accomplished, people are supposed to then apply a layer of TriLASTIN CF. TriLASTIN CF is supposed to be facilitated by the pretreatment introduced with TriLASTIN HT. Neither one of these two steps actually does anything beneficial in terms of reducing the appearance of cellulite on the body. In actuality, TriLASTIN System 2 merely works as a placebo, making users think that it is providing results - without actually providing any. Even when used as directed, this product simply isn't effective. Despite the detailed descriptions available on the TriLASTIN System 2 website, a detailed ingredient list remains surprisingly elusive. The manufacturer states that the dual acting approach used with TriLASTIN includes blends of botanical oils, unspecified antioxidants, caffeine to stimulate the skin and a vague amino acid complex. However, the specifics of each of the ingredients that go into TriLASTIN remain largely unknown. It is apparent that the makers of TriLASTIN aim to use their pseudo medical terminology to convince consumers that their product is legitimately an effective cellulite treatment; yet if it actually was, its ingredients would be prominently and clearly listed. Since the actual ingredient list for TriLASTIN System 2 remains unavailable, it is impossible to provide a real analysis of what it is capable of - and it remains clear that this product doesn't actually offer any real benefits for removing cellulite. According to various sources, a one month supply of TriLASTIN System 2 is available for $79.95. However, there are also many special offers online for TriLASTIN, ranging from free trials to buy one, get one free deals. The bottom line, though, is that TriLASTIN is never a good deal because it doesn't actually work. Spending money on an ineffective product that will not actually noticeably reduce or eliminate your cellulite is a foolhardy proposition; anyone who values their money would most likely like to hang on to it and not squander it on a product like TriLASTIN that doesn't really work. Even if you find a great deal for this product online, the money that you spend is ultimately wasted because TriLASTIN will not help you achieve your goals at all. As much as the manufacturers of TriLASTIN System 2 try to dazzle consumers with their graphics and promotional language, it is very clear that this is not an effective treatment for cellulite. There are no legitimate reports available indicating that TriLASTIN offers any noticeable results among the people who have actually tried it. The dearth of evidence online regarding its effectiveness should raise a lot of red flags for discerning customers who do not like wasting their money on products that don't work. Despite all of the hype, TriLASTIN System 2 and its dual approach to fighting cellulite simply doesn't work. There are many other, far more effective anti-cellulite products available on the market today, making TriLASTIN that much more useless and inefficient. If you seriously want to get rid of your cellulite, avoid using TriLASTIN and try a more reputable product. Check out our cellulite cream reviews to see which cellulite treatment our readers found to be most effective.